KEM™ Paisley Narrow Jumbo Index Playing Cards These decorative decks are made with a unique blend of paper and plastic that provides superior flexibility and strength for long-lasting use. One features beautiful blue; the other, lively red. They are Narrow Paisley deck with Jumbo Index. KEM™ Paisley Narrow cards are very difficult to mark, some guys even said that these KEM cards can't be marked at all. 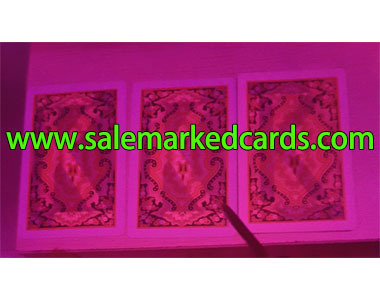 However, our technicians can mark the KEM paisley cards in special big marks with suits.